This is a round Auto Club of America porcelain sign. This particular Auto Club of America sign is black and white. 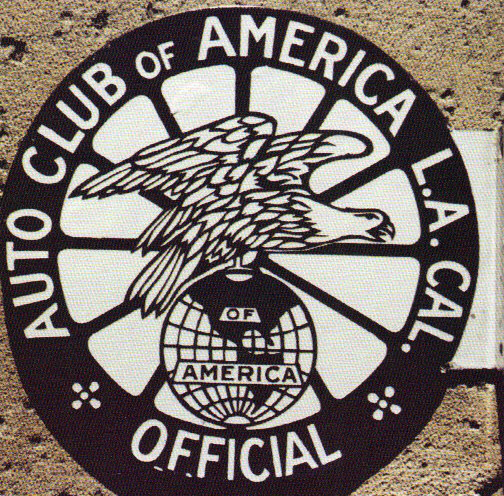 It reads, “Auto Club of America, L.A. CAL., Official” and features an eagle sitting on a globe in the center.